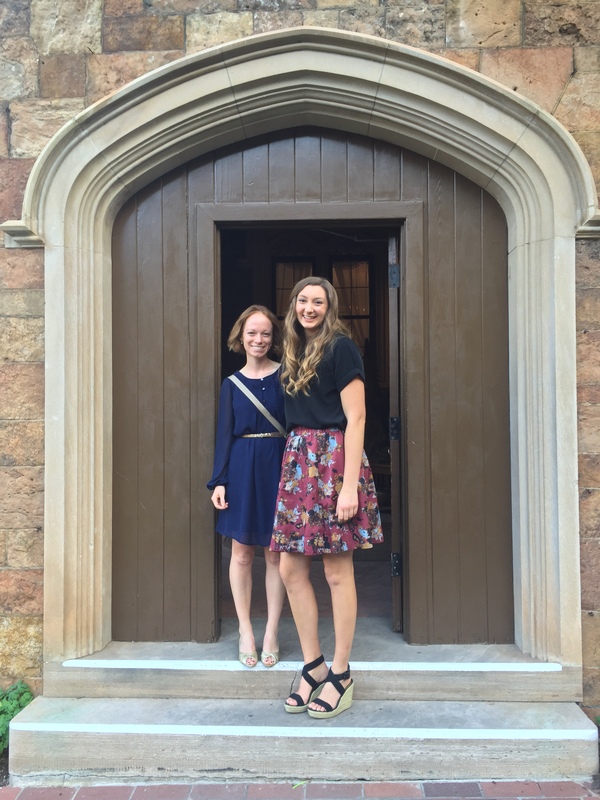 This past weekend I went to a Castle. I went to tea at a Castle, in fact. Don’t even worry about it, I definitely made plenty of princess jokes and thought about leaving a shoe behind. 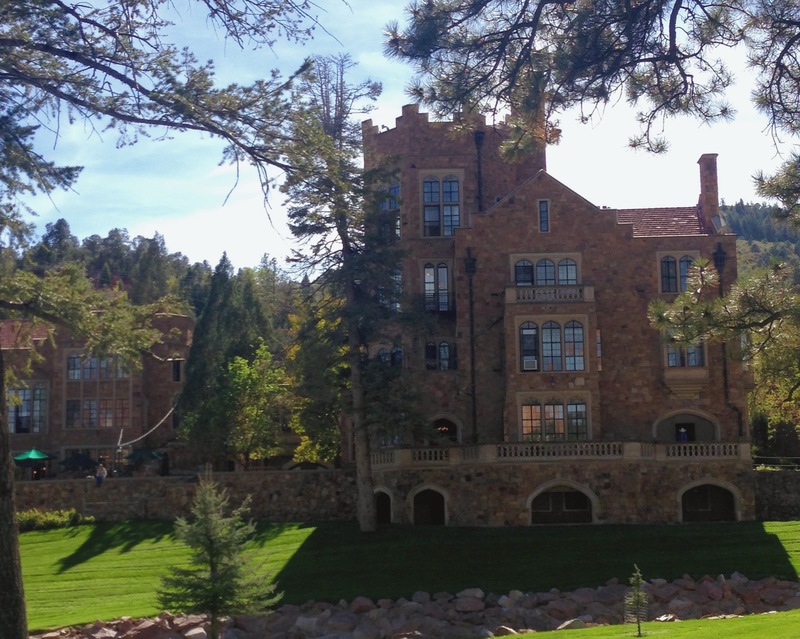 It is a castle in Colorado Springs called Glen Eyrie. 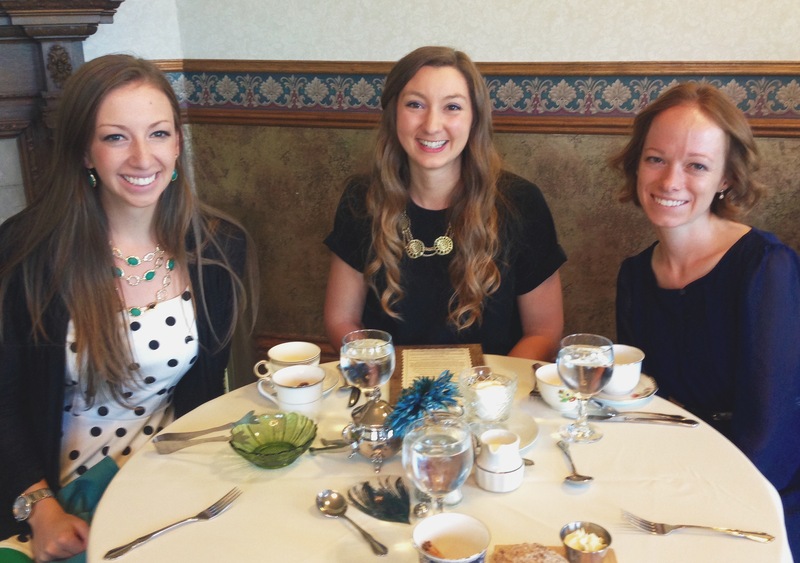 We went for high tea – which included a four course meal (WHO KNEW?). The menu is set, but there is a list of teas that you can choose from. We chose one called, “Three Flower Burst.” It was literally a flower blooming as the tea brewed. I KNOW. I’m not going to lie to you, I was very hungry when we arrived. They escorted us to our table, and then we waited. Our server explained that the bread on the table was to be saved for our soup, and the fancy whip cream was to be saved for dessert. Temptress. They brought us our first course, a shallow bowl of “Braised Carrot Coconut with Fried Basil” soup. (Yes I ate that, Mom!) Then we waited again. I started to realize that I am used to stuffing my face with all of my food all at one time. My portion control is severely lacking, that became very clear. I’m the same in life; I want a lot of everything. I want a lot of friends, a lot of time, a lot of experiences, a lot of happiness. In reality, sometimes the small portions of things are so much better – it makes you savor and treasure it that much more. Like when your Dad has a layover in your airport for a few hours, and you get to eat donuts and drive around just for the day. It’s sweet, and leaves you wanting. Don’t get me wrong, I’m not complaining, at all. It was so delicious and precious and fun. I enjoyed every second. And that is what made me think about it – we were enjoying every last drop of soup, every inch of cheese, every bite of pear. We savored like I have probably never savored before. We sat and waited between courses, lingering and longing for what was next. I’m starting to wonder, maybe that is what this season is for – to walk slowly, look closely, and soak up every moment. To celebrate the changes as they come, rather than dread them. To linger at the table, relish the laughs, and delight in every last bite of food. Instead of being sad about what is gone, what I’m losing, to look forward in awe of a chance for new surprises, unexpected gifts, and answered prayers. Maybe God is calling us to walk into this with a fresh perspective, alert and ready to witness what He is doing: a new thing. We expect it all to be served to us at once – at dinner or in life. Sometimes we have to wait. Sometimes things take time, and are better with time. Let’s trust that God does everything in His perfect time, and all will be well. So that is my goal now, to breathe the crisp autumn air more deeply, allow time to take in what is around me, and create space to hear God speak and see Him move in my life. No matter what might come, I know that if I am walking at a slower pace, I am less likely to trip. So I’ll live my life like high tea, enjoying the simple and small, and treasuring the waiting and longing in between.